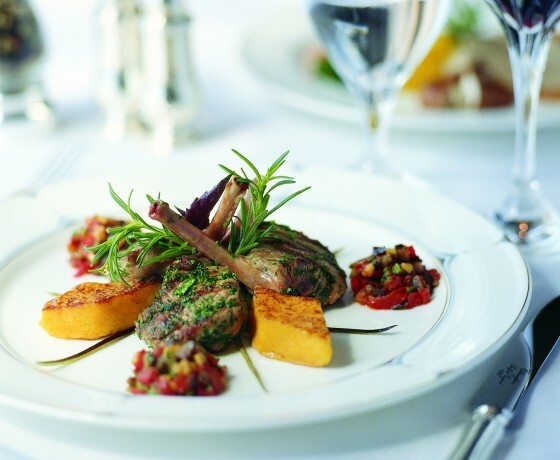 The Mediterranean is known for the generally good health of its population, in part due to embracing traditional healthy lifestyles and a cuisine that provides health benefits derived from following a Mediterranean diet model. However, like many developed countries, they are challenged with implementing new healthcare reforms within the context of increasing budgetary restrictions and the healthcare demands of a growing aging population if they wish to maintain current healthcare standards. Now, more than ever, it is important for healthcare professionals to collaborate with colleagues and global counterparts to gain cross-cultural perspectives and updates in the treatment and prevention of disease. By design, this program offers opportunities for professionals to compare and contrast current best practices to provide quality patient care and outcomes in their own professional setting. Dr. Kathleen L. Yaremchuk received her medical degree from the University of Michigan and completed a general surgical internship at Cook Country Hospital in Chicago, Illinois. She completed a residency in Otolaryngology at the University of Chicago and is Chairwomen of the Department of Otolaryngology/Head and Neck Surgery at Henry Ford Hospital in Detroit, Michigan. She received a Master in Science of Administration from Central Michigan University. Dr. Yaremchuk is Board Certified in Otolaryngology/Head and Neck Surgery and Sleep Medicine. Sveti Nikola Polyclinic performs complete, non-invasive cardiac treatment and preventive examinations targeting groups with increased risk for cardiovascular disease development. The Sveti Nikola Polyclinic is a private polyclinic located on the seashore near the monastery and the church of St. Nikola, not far from the center of Korčula, Croatia. The polyclinic’s mission is to introduce top-level cardiology and advanced medical techniques in a remote area, maintain the continuity of knowledge and a more comprehensive approach to polyclinic patients, and to operate in accordance with the most modern advances in cardiology and internal medicine. 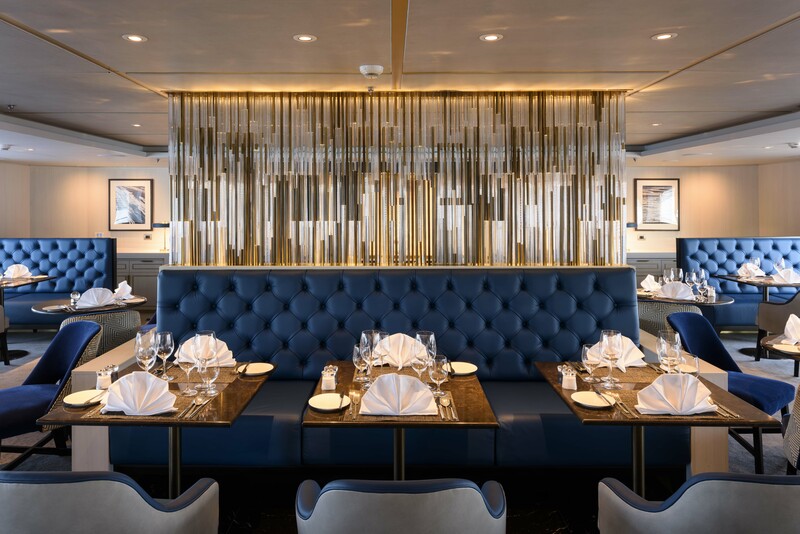 Sail the azure waters of the Mediterranean for 7 nights with PES to explore the splendors of the Adriatic and the sun-drenched harbors of the Dalmatian Coast aboard the luxury, all-suite yacht Crystal Esprit. 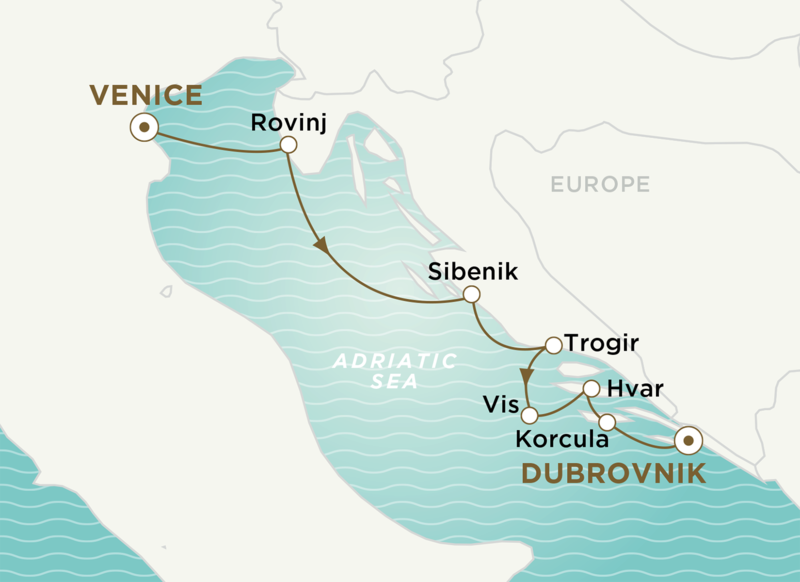 Discover the dazzling harbors of Croatia, where majestic mountains meet a crystalline sea and archaeological treasures abound, from UNESCO World Heritage Sites in Sibenik and Trogir to the Venetian flair of Vis and Hvar. 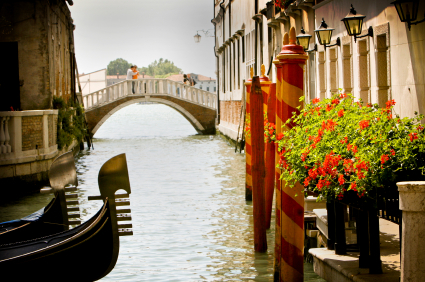 Embark the Crystal Esprit in the romantic city of Venice. Known as the “Queen of the Adriatic,” Venice comprises more than 100 separate islands. Laced together by a string of 400 intricate bridges, Venice is legendary for its labyrinthine network of canals. A whimsical stroll through the city can lead one to a hidden world of ornately decorated buildings and piazzas. Nestled on the coast of the Adriatic where Croatia meets Italy, Rovinj reflects a cross-section of cultures, not just of neighboring Italy but also of Greece, Austria, and the Slavic nations. Empires have been competing over this wooded and strategically located region for centuries, contributing to Croatia’s rich tapestry of history along the way. The resulting complex and vibrant fabric, ever-evolving as time weaves, is yours to discover with your visit. 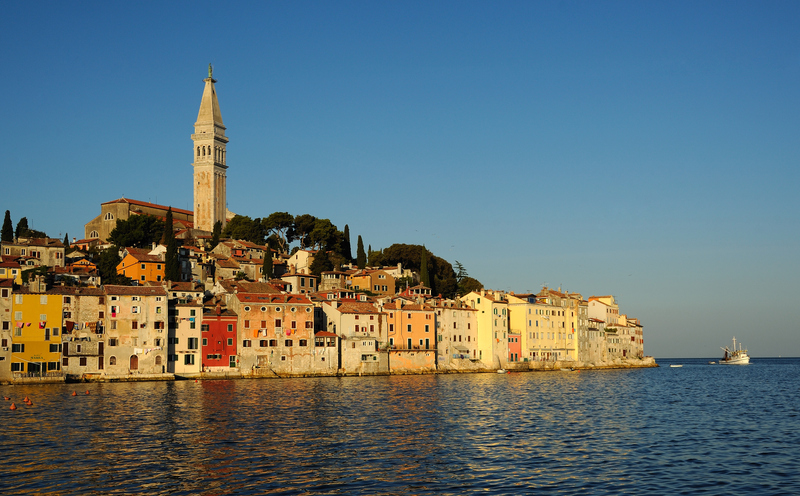 One of the most striking of Rovinj’s buildings is the Church of St. Euphemia, with its bell tower rising above the city. Around every corner you will find grand gestures of architecture along with quaint cafés and small shops. 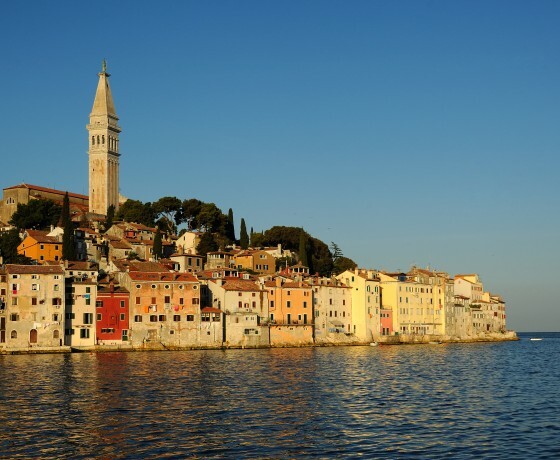 If you aren’t careful, you may begin to think you are wandering the cobbled lanes of Venice, as Rovinj’s colorful facades and charming piazzas are not far from the once-governing canal city, just two hours away by ferry across the gulf. Unlike many other cities on the Adriatic coast, Sibenik was founded by Croats and not by Romans, producing an interesting regional story and a collection of remarkable architecture. One example is Sibenik’s central church, the Cathedral of St. James, a UNESCO World Heritage Site built completely out of stone in the 15th century. The heart of Sibenik and its narrow alleyways are a joy to explore, like a medieval gift to unwrap and discover. If the attractions of the town center are not enough, then visit one of the area’s two national parks, Kornati, an archipelago of about 150 small islands, and Krka, famous for its waterfalls and archaeological treasures. In a region where the words “Baroque,” “medieval” and “Renaissance” – not to mention “beautiful” and “charming” – describe virtually every sight, one might think it would be difficult to find any one town that is a standout. Yet Trogir, Croatia, may just be that place. Located on a small island between the Croatian mainland and the island of Ciovo, the city of Trogir has a history that reaches back to the 3rd century BC, when it was founded by the Greeks. Later influenced by the Romans and Venetians, Trogir is nothing short of an open-air museum, sprinkled liberally with churches, palaces, towers, and fortifications. Its Romanesque-Gothic quarter is one of the best-preserved not only in the Adriatic, but in all of Central Europe. UNESCO has recognized Trogir as the special place that it is, designating the historic center as a World Heritage Site. Farthest from the mainland and until 1989 a military base for the Yugoslav National Army, the tiny isle of Vis has mostly escaped modern development, making it an appealing place to find a bit of Mediterranean authenticity. Fishing and wine are longstanding traditions, still alive and well in maritime villages, homey cafes, and vineyard expanses. While relatively distant from its own Croatian mainland, Vis is culturally close to Venice, as Vis was once under the rule of the Republic of Venice. This rich history can be seen in the island’s architecture, humble and rustic with a Venetian flair. 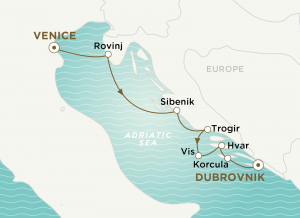 For the nature lover, there is much to explore, from pretty pebble beaches and rugged shoreline to secluded coves and the ever-present blue waters of the Adriatic. This small island located in the center of the Mediterranean is a nature-lover’s delight. The arrival of Croatians to Hvar in the Middle Ages turned this temperate island into the center of Croatian arts and literature, thus ensuing the production of extraordinary works in sculpture, paintings, and music. 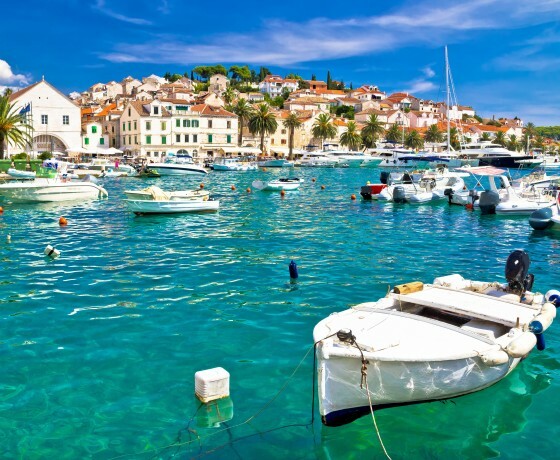 Greeks founded their first colony here in 358 BC, and since then Hvar has survived frequent changes of occupancy throughout the Middle Ages and into modern times. The impact of the long period of Venetian rule is most evident in the town of Hvar, where there are numerous reminders of the glorious Renaissance Movement. Today, Hvar offers stretches of beaches that melt into the azure waters of the Mediterranean—a paradise to tourists and locals alike. 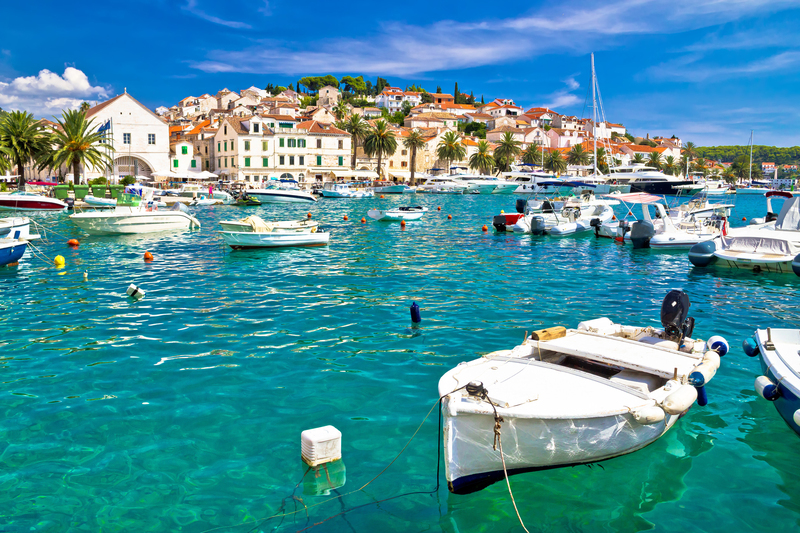 Year round, the sun shines brightly on the splendid island of Hvar, making its limestone towns sparkle amid the fertile green hills, rocky terrain, and the surrounding sea of clear cobalt blue. Situated between the islands of BračVis and Korčula, Hvar is the longest island in the Adriatic Sea, and it boasts one of the most beautiful landscapes nature has created. 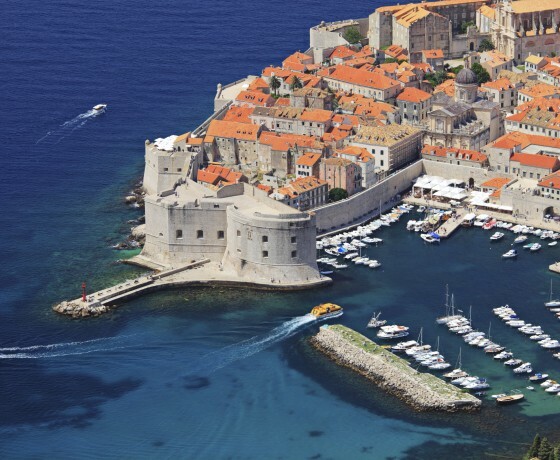 Long stretches of beaches, rocky mountains within reach of the sea, fervent summers, untouched nature, and unique city monuments make up the beautiful country Croatia. The town of Korčula is the historical, cultural, and political center of the island. Considered the birthplace of Marco Polo, Korčula’s history and tradition are apparent when you walk along the paved streets and squares of this lovely town. Cultural and historical monuments such as the Treasury of the Abbey, the City Museum, and the Museum of Icons can all be found in Korčula. Disembark the Crystal Esprit in Dubrovnik, a beautiful old town with white limestone streets, baroque buildings, and lovely beaches along the shimmering Adriatic Sea. 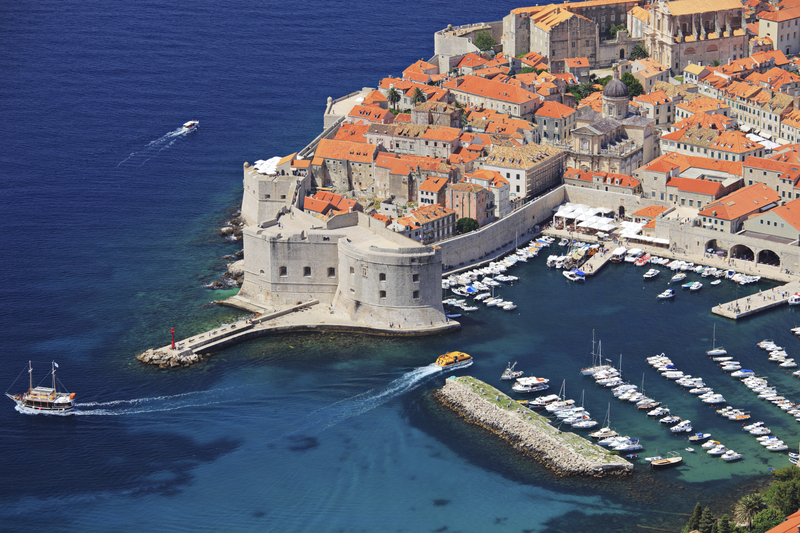 Dubrovnik is lined by an ancient city wall, making its narrow-cobbled lanes free of any vehicular traffic. Join us for an exclusive PES Pre-Cruise Package at the unique and historic boutique Corte di Gabriela Hotel in the heart of Venice! The place of dreams and enchantment, this romantic city will live long in your memory. 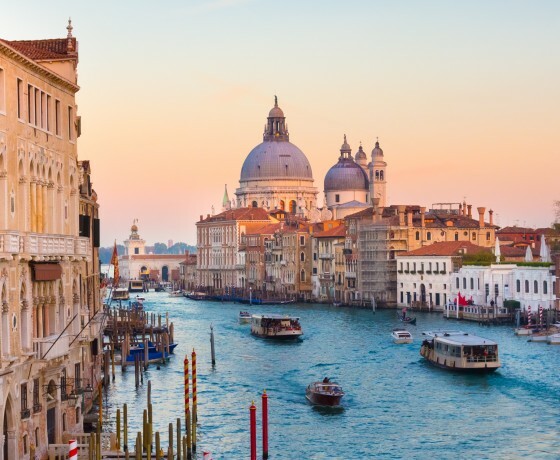 Tour St. Mark’s Basilica and Doge’s Palace, enjoy an evening gondola ride, and explore the islands of Murano and Burano, plus ample free time to discover Venice on your own! Includes 2-night hotel stay, transfers, tours, gratuities, skip-the-queue entrance tickets, and daily breakfast. The Corte di Gabriela superior 4-star boutique hotel is set in a distinguished 19th-century palace overlooking the canals in the San Marco neighborhood, in the heart of Venice. Nestled between the Grand Canal, Piazza San Marco, the Rialto Bridge and Palazzo Grassi, you can reach every corner of Venice on foot, with all its streets, canals and markets. The hotel has only 11 suites, offering a fabulous blend of history and design. Suites feature free Wi-Fi, in-room iPad, air conditioning, flat-screen TV, tea and coffeemaking facilities, minibar, pillow menu, bathroom with bath, hair dryer, toiletries, safe, room service, bathrobes and slippers. Upon arrival, you will transfer to Venice via water taxi and check into your hotel. The remainder of the day is at leisure. Everything there is to see in Venice is just a short walk from the hotel! Following breakfast at the hotel, delve into Venetian history on a walking tour that showcases the city’s most iconic structures and the stories behind them. Our skip-the-queue tickets grant quick entrance into the legendary St. Mark’s Basilica to wander around the mosaic-covered interior and Byzantine treasures while our local guide fills you in on how this collection came to be. Continue to the Doge’s Palace to explore the former political heart of Venice, with its lavishly decorated rooms and Venetian masterpieces – including the legendary Bridge of Sighs and the palace prison. 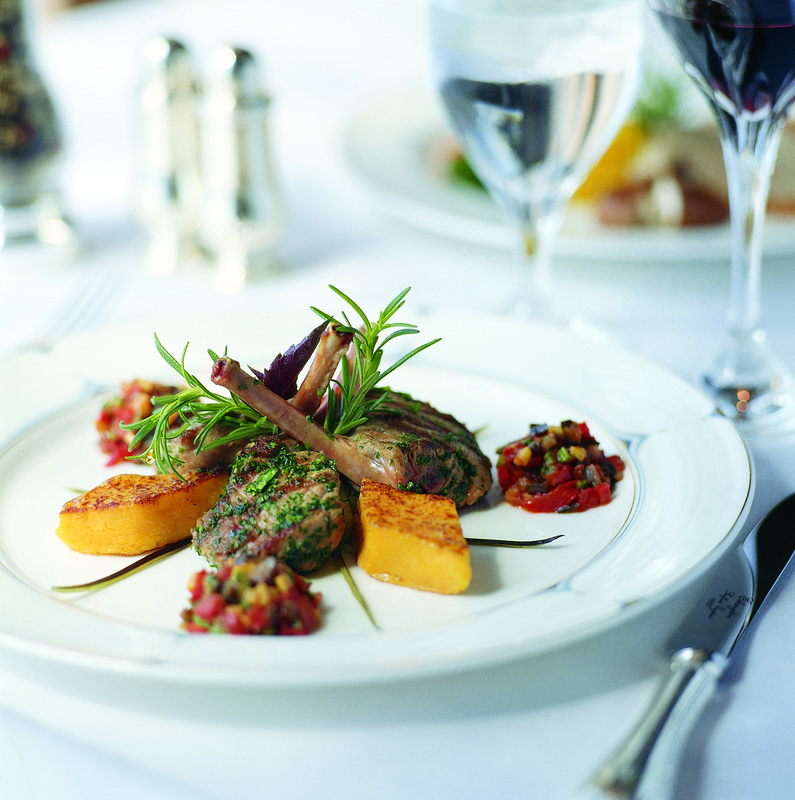 Enjoy lunch on your own and time this afternoon to explore more of romantic Venice as you wish. Early this evening, join us for a gondola ride through Venice’s famous waterways. Climb onboard a traditional Venice gondola for a half-hour excursion through the city’s canals. Sit back and enjoy, exploring the city as it was meant to be seen – from the water! Overnight at the Corte Di Gabriela Hotel (B). 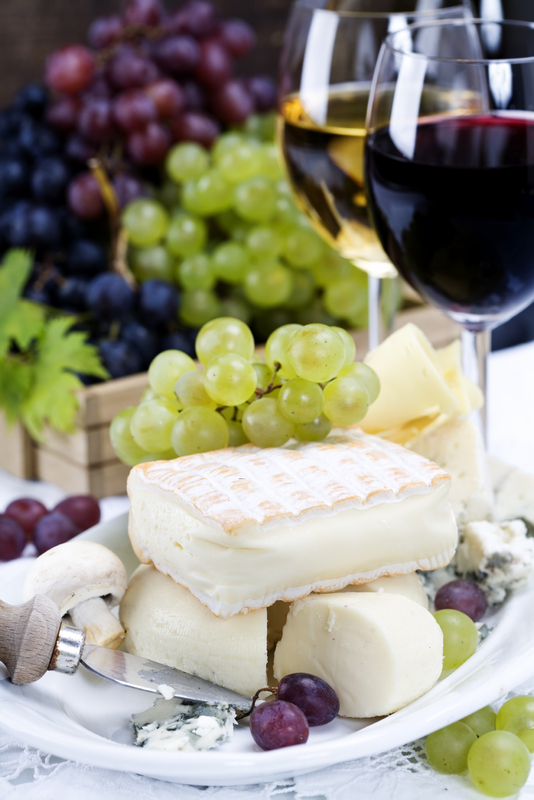 Enjoy a leisurely breakfast and check out of the hotel. Depart via boat to the cluster of small islands that make up Murano. Visit the ancient church of Santa Maria e Donato, home to a grand 12th-century Byzantine mosaic, then walk to a nearby workshop to see the island’s venerable glassblowing techniques in action. After some free time to visit the shops that fill the island’s markets, your boat carries you over to the peaceful community of Burano Island. Take a stroll along the streets lined with vividly colored houses and visit a lace laboratory to see the patience and intricate craftwork that goes into the exquisite techniques. Enjoy unparalleled award-winning luxury travel in an elegant, casual atmosphere designed for luxurious recreation and active adventure. 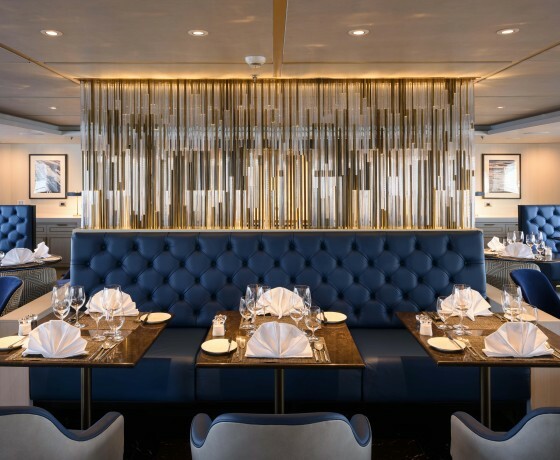 Recently voted Travel + Leisure’s “World’s Best Small-Ship Ocean Cruise Line” in 2017, the all–suite Crystal Esprit is ideally suited to explore exclusive yachting harbors that larger ships, and crowds, cannot access. Every suite features butler service, plush king or queen-sized bed with fine linens, two spacious closets, a glass-enclosed rain shower, minibar, bedside iPad, a 42” flat-screen TV, and more. 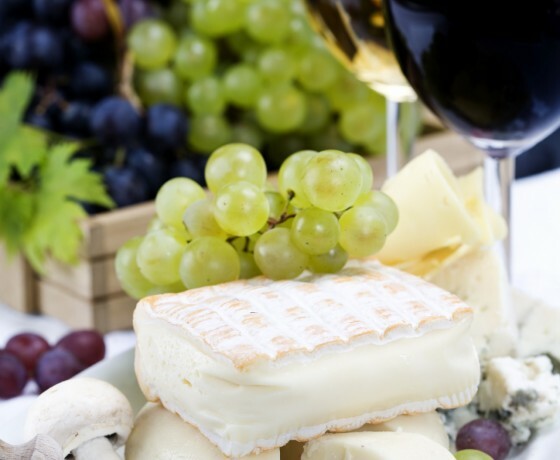 Guests enjoy all-inclusive indulgences ranging from Michelin inspired cuisine and an endless pour of fine wines, champagnes and spirits — all served in a casually elegant ambiance in an intimate setting. Crystal Esprit is exclusively outfitted for active adventures, with a hi-tech private marina packed with water toys. 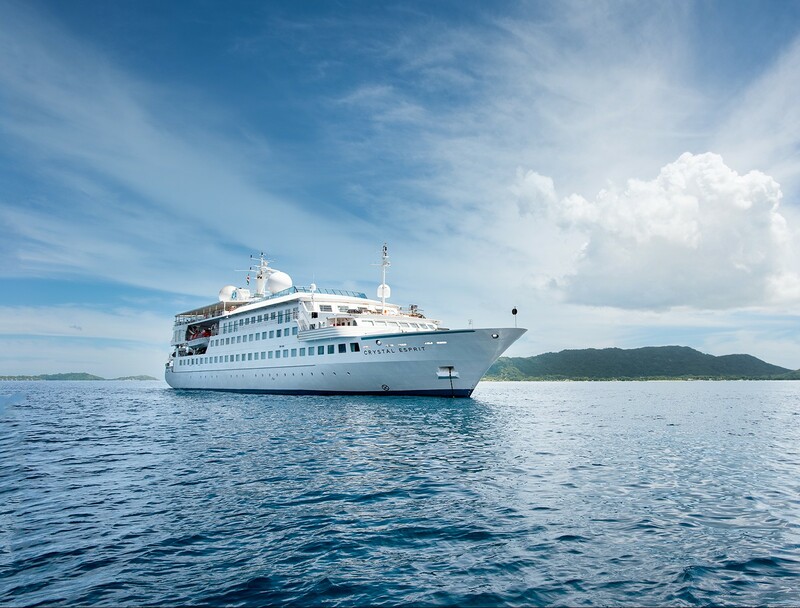 Ashore, destinations are brought to life with intrepid pursuits, and a choice of two complimentary Crystal Adventures® shore excursions in almost every port. Each yacht suite features a plush king or queen-size bed made up with the finest linens under an elegant tufted leather headboard. Aside from the spectacular views, other appointments include a bedside iPad and digital directory, a sitting area, and two spacious closets custom-designed with integrated lighting. Yacht suite bathrooms are adorned with stunning, cutting-edge design. A glass-enclosed rain-shower, striking backlit mirrors over double vanity sinks and natural stone flooring elevate this space to the sublime. Plus, Italian fashion house ETRO bath and shower amenities evoke a new place and a new frame of mind-perfect for new experiences each and every day. 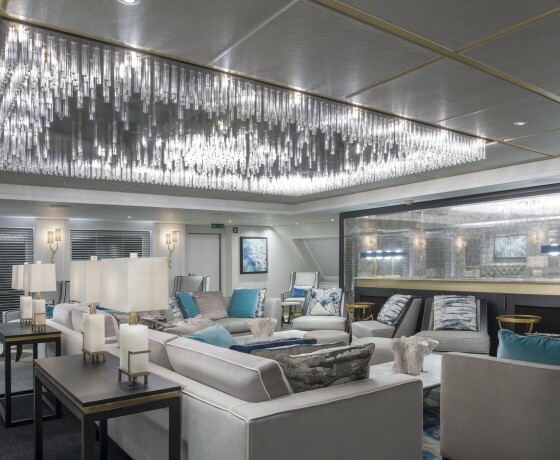 The Owner’s Suite, a generous 515 square feet – twice the size of other suites – provides a lavish environment for relaxing or entertaining fellow adventurers you’ll meet aboard Crystal Esprit. The Owner’s Suite bedroom features a king-size bed with custom-built bench for storage at its foot, comfortable couch and expansive ocean views. Enjoy all the convenience of home with high-definition television and a bedside iPad to run all lighting and electronics with a single touch. 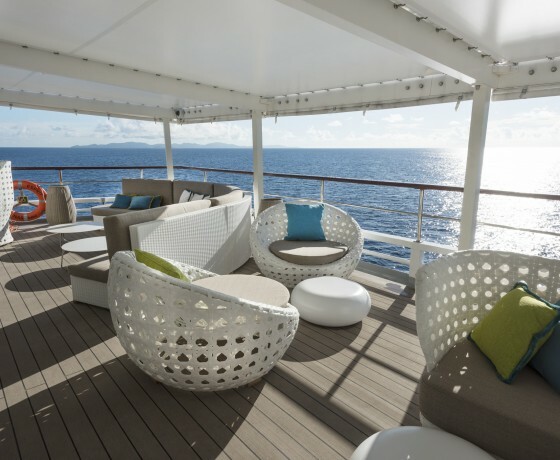 The separate living area hosts a four-seat dining table, sofa, bar, fridge and high-definition satellite TV. 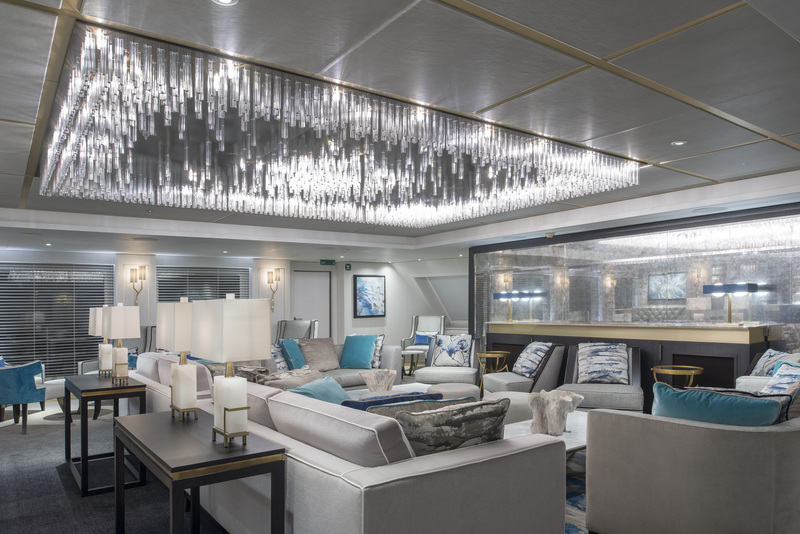 Befitting the largest suite on board, the Owner’s Suite bathroom is spa-like, featuring striking backlit mirrors over double vanity sinks and natural stone flooring, plus a stunning egg-shaped Jacuzzi stone tub and separate glass-enclosed rain shower. 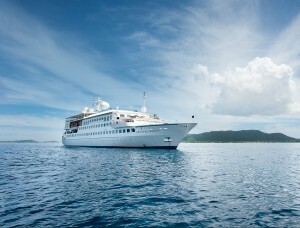 Cruise fares do not include port taxes of $301 per person. 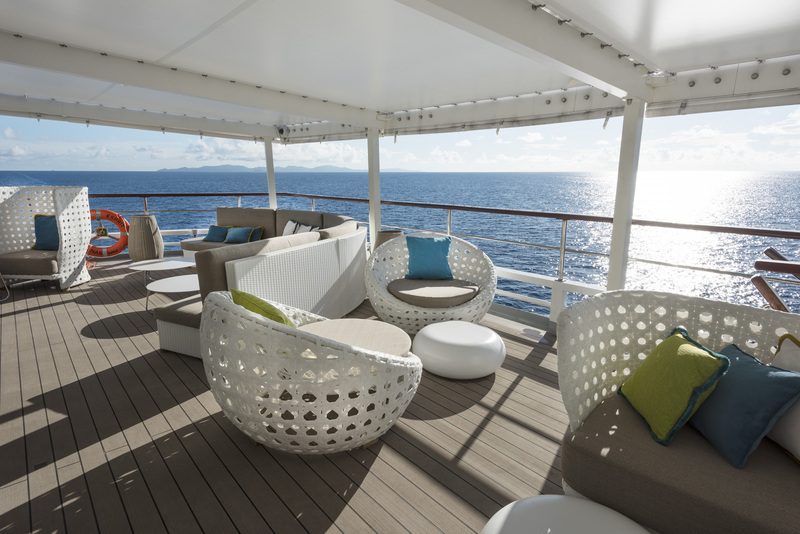 Save an additional 2.5% off the cruise only fare if paid in full by March 5, 2019. Airport Transfers: Airport transfers to and from the Crystal Esprit are included in the package price.